Jeff and Jessica worked around the world at top wineries in Italy, Chile and all over before settling down in California to craft boutique wines and make a family. Being a small boutique winemaker means a lot of time in the cellar and even more time selling the wine on the road. Angel-funding allows Jeff and Jessica to make and sell great wine without sacrificing the time they need to raise their kids. Normally, you'd have to sit on some waiting list to get access to these firm, voluptuous wines. But now she'll be able to make more and bring it to the Angels at a really remarkable price. I really enjoy every aspect of the wine industry. From grape to glass. I love the seasonal changes. I love being involved in the vineyard, working with the growers, the fermentation process, experiencing the changes that happen in the barrel, getting the wine into bottle and marketing. Making wine is very cyclical and every season brings about the same work yet it is never the same. Each Harvest depends on the growing season and each wine brings about it's different challenges. Wine, once bottled, encapsulates the climate, environment, even the politics of a vintage. Once opened we are able to reflect on that year, what we experienced as the winemaker and consumer. The best part about making my own wine is the direct connection I have with the growers and the market. 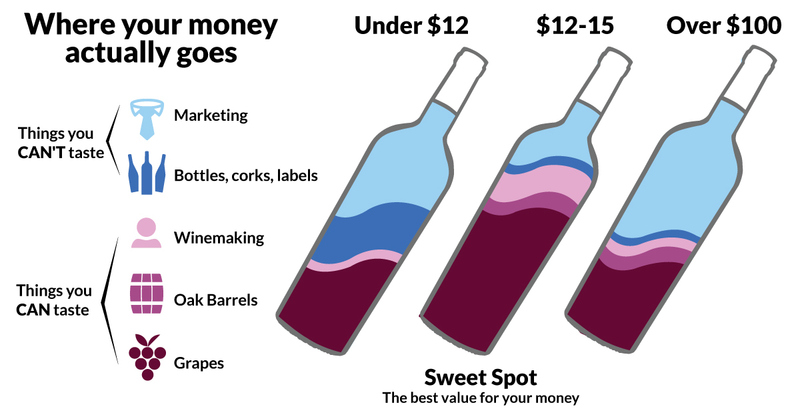 Making wine for larger companies tends to bring about recipe winemaking as bigger brands demand a consistent product that tastes the same from year to year, like a soda. Making my own wine I am able to guarantee that the wine will always be of sound quality but am able to show, through the wine, the gentle nuances and variations that happen from vintage to vintage. In my years as an independent winemaker, I always had to keep production small because of limited cash flow. Making wine for Naked Angels allows me so many new possibilities, and I never have to miss an opportunity to work with great vineyards and make the best wine possible. I get to spend more time in the vineyard and cellar which makes me extremely happy. I would like the Angels to know how excited I am to be making wine at this level of quality. I get to work with growers confidently, commit to buying more of their fruit from their best parcels, and show the Naked Angels what great terroir you can find in California.